Businesses waiting for Indian Prime Minister Narendra Modi to follow through on a pledge to cut corporate taxes may need to wait a bit longer. In his last full budget before 2019 elections, Modi is facing a revenue squeeze that may make it difficult to deliver on a promise to lower the basic corporate tax rate over time to 25 percent from 30 percent. It’s a catch-22 situation for the premier, who is also trying to lure foreign investors at a time when the US, UK and other countries are lowering business taxes. Here’s a look at Modi’s challenge ahead of the government’s budget 2018 on Thursday. Modi pledged in 2015 to bring down corporate taxes over four years, but businesses are still waiting for a roadmap on how that will happen. It’s part of his mission to improve India’s investment climate: he is also reducing red-tape, spurring the liquidation of assets to speed-up the recovery of bad loans, and introduced a national sales tax last year to cut down business costs. India is ranked 119 out of 190 countries when it comes to ease of paying taxes, according to the World Bank’s Doing Business index. While those reforms have helped India win a credit rating upgrade and record foreign direct inflows last year, Modi needs to keep investment going to help support an economy that’s set to expand at its slowest pace in four years. Tax competition around the world is heating up. The US lowered corporate taxes by 14 percentage points to 21 percent, with companies like Apple Inc, Wal-Mart Stores Inc and JPMorgan Chase & Co announcing plans to raise investment, hiring or wages. “The US has made corporate tax rates competitive and India needs to respond,” said Jayesh Sanghvi, a tax partner at EY in Hyderabad. If it doesn’t, companies will examine arbitrage opportunities given the 10-15 percentage point difference, he said. After reducing the rate last year to 25 percent for small companies with a turnover of up to 500 million rupees ($7.9 million), businesses are expecting Finance Minister Arun Jaitley to move again this week. Half of the 120 professionals surveyed by Deloitte expect the rate to be cut to 25 percent for all companies. Rakesh Nangia, head of tax advisory firm Nangia & Co, warned of a “flight of capital” if tax rates aren’t reduced. Modi is in a fiscal bind. Revenue collection remains under pressure following the chaotic roll-out of a national sales tax, and with an eye on next year’s election, his spending priorities may turn to the distressed rural sector, putting pressure on the budget deficit. 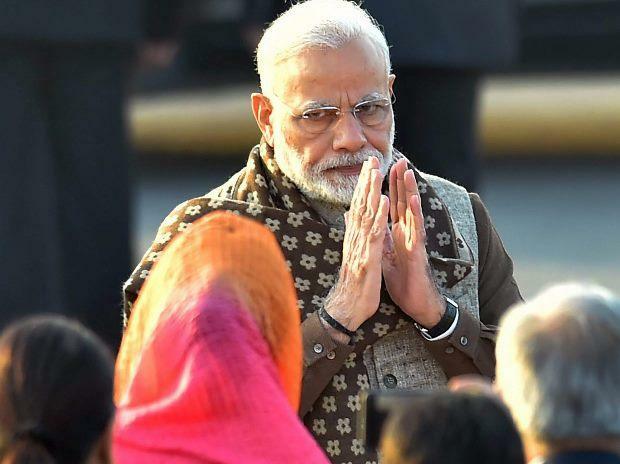 Political considerations may also prevent Modi from reducing corporate taxes now, said Shailesh Kumar, a senior analyst at Eurasia Group in Washington.